Wood has always been one of our most oft used materials both in architecture and interior design. It is not only valuable for its sturdiness, but also for its versatility. It can completely transform a room when used in the right manner. Check out inspirational wooden warm spaces by our skilled interior designers. 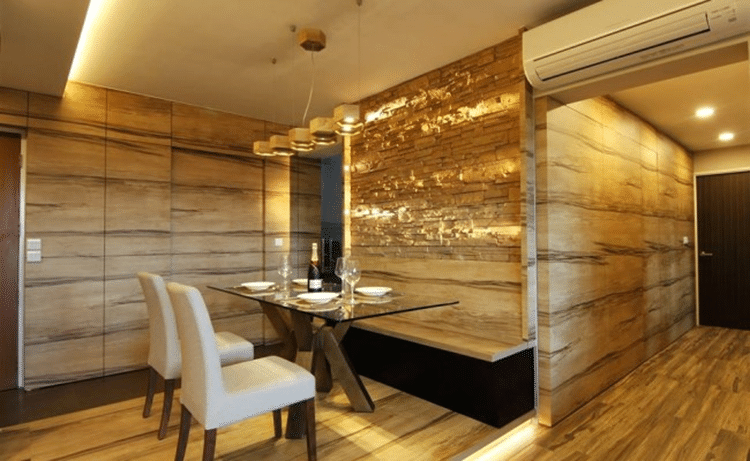 This 'into the woods' living room with a backdrop of dining, various walls cladding with wood grain overlay to conceal the kitchen passageway. This is something really woody and cozy at the same time. Wood all over makes you feel cozy yet warm for its refined and vintage look. 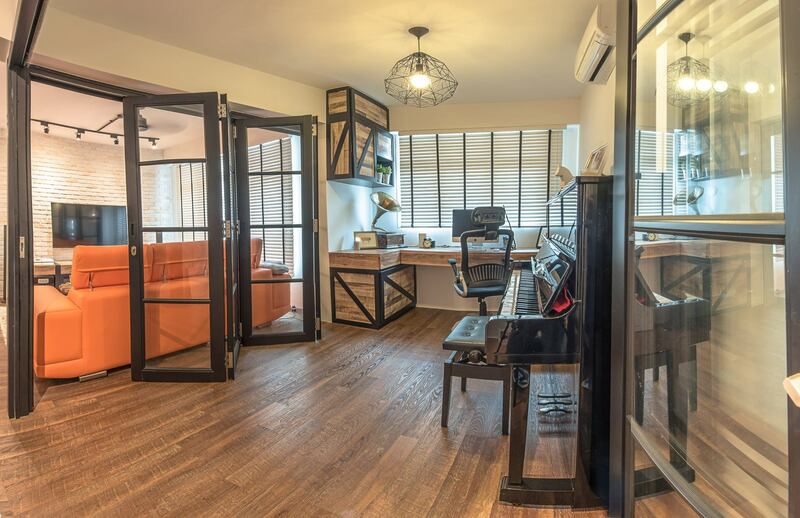 If you rather a vintage interior concept for your space, this concept is for you. Euphoric Designs has elegantly used different patterns of vinyl wood flooring, walls and decor simultaneously. 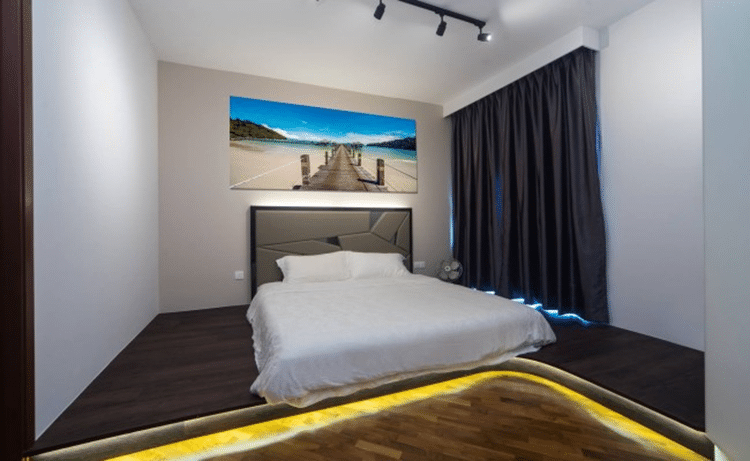 The master bedroom is merged with two different textured wooden floorings and with the right play of hues, makes the ideal man space for any homeowner. You might have found that many kitchens with wooden accent work wonderfully. and this is one such example for it. 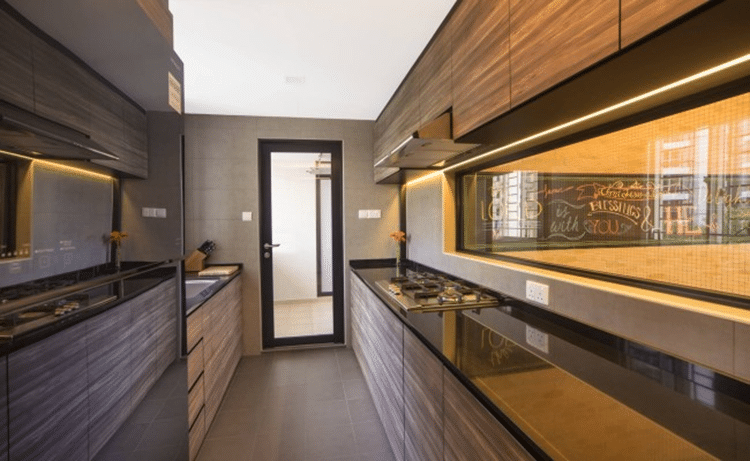 Renozone is one of our top interior designer which is diligent yet efficient in offering high quality wood concept for your kitchen. The amusement room with its vinyl wood flooring and decor gives the room a warm, cozy and rustic feel. 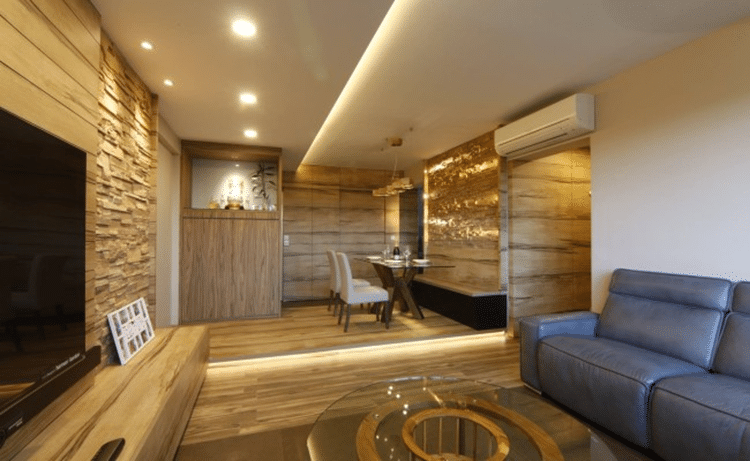 With these few gorgeous examples of using wood decor, what are you waiting for?